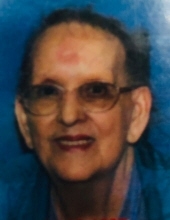 Shirley A. Dunn, 81, of Middletown, died Sunday, November 25, 2018, at her home. She was born in Middletown, Ohio on April 3, 1937, to parents Courtney and Lola (Wagers) Moore. Shirley was a member of the Logan Avenue Church of Christ. She enjoyed spending her free time painting and doing puzzles. Mrs. Dunn is survived by her son, Tom Dunn; her daughter, Shari McKenzie; and grandsons, Brandon Quillen & Noah Pless. Shirley was preceded in death by her parents, her beloved husband, Lowell Dunn and her son, Rick Dunn. Funeral Service will be held Thursday, November 29, 2018 at 11:00 am at WILSON-SCHRAMM-SPAULDING FUNERAL HOME, 3805 Roosevelt Blvd., Middletown with Pastor David Stidham officiating. Visitation will be Wednesday from 5:00 - 7:00 pm at the funeral home. Interment will be at Butler County Memorial Park. Memorial donations may be made to Logan Avenue Church of Christ, 2025 Logan Ave., Middletown, OH 45044. To send flowers or a remembrance gift to the family of Shirley Ann Dunn, please visit our Tribute Store. "Email Address" would like to share the life celebration of Shirley Ann Dunn. Click on the "link" to go to share a favorite memory or leave a condolence message for the family.